President Nana Akufo-Addo has confirmed that from September 2018, his government will implement the Dual Intake System for new entrants into the countryâ€™s public Senior High Schools. This new system is expected to reduce class sizes and increase contact hours. This is to address the growing number of students benefiting from the Free SHS policyÂ due to infrastructureÂ deficit. The new system is expected to cost GHâ‚µ323 million to fully implement. The cost comprises GHâ‚µ267.2 million for teaching cost and GHâ‚µ55.8 million for academic interventions. â€œUnfortunately, we have not been able to increase the infrastructure as rapidly as the number of entrants. But if you are prepared to find a way, you will find that way, and we have found a way to be able to absorb this intake. We call it the Dual Intake System that is going to allow us on a semester basis, to address the challenge of this new population,â€� the President said. This new system is also going to be accompanied by an increase in the number of teachers. He reminded that the students were to be the focus if the policy changes. The National Association of Graduate Teachers (NAGRAT) has cautioned government against implementing the multi-track system in the Senior High Schools without consulting stakeholders in education. A former Vice-Chancellor of the University of Education, Winneba, Professor Jophus Anamuah-Mensah, espoused the â€œmulti-track calendar systemâ€� to help solve the situation where qualified students are turned away by senior high schools due to limited infrastructure. Under the multi-track system, the senior high school system will run a semester system where students will be divided into two groups to attend classes at different times of the year. According to Prof. Anamuah-Mensah, the multi-track system meant that the number of prospective students would be enrolled within two separate entries. He said for this to be possible, the three-term academic calendar system for Senior High Schools would have to be reduced to two semesters just like in the universities. But Angel Carbonu called on the government not to rush into adopting the multi-track policy. â€œI would suggest that Prof. Anamuah and his team should start a stakeholder discussion on this issue. Let us not rush into something like that. In the document that I saw, this policy is supposed to last for only five years because within the next five years, what we are hearing from the corridors of power is that government would have then built infrastructure to accommodate all the two streams. When that happens, what would you do with those teachers? We need to sit down and discuss this situation thoroughly as a nation. Let us not rush into something that will spite our faces over time,â€� Carbonu cautioned. 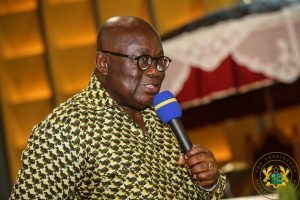 The post Dual intake for SHS to begin in September – Nana Addo appeared first on Citi Newsroom.